Choose a writing pad for a letter to make someone smile or deliver the feeling of the season. It reflects your fondness for the one who will receive the letter. For this season of the year, I chose the letter pad with plum blossoms design to write a reply to the client couple who had got married with our service three years ago. Plum is believed to be a lucky plant, as its flowers exist in red and white, the colors which are always used for the auspicious occasion. We will have the best season of the plum blossoms soon. 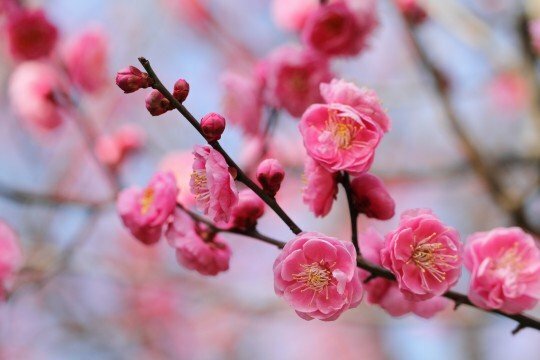 I hope my letter can deliver the beautiful plum blossoms image to my clients.